Recently the Senate Democrats tried to all-out kill the nomination of Judge Brett Kavanaugh to the U.S. Supreme Court by falsely, viciously and relentlessly accusing him of several sexual assaults that occurred between thirty and forty years ago. There was little doubt these accusations had no merit because under scrutiny the allegations fell apart quickly. One accuser couldn’t remember which house she was at, who was there, or the date when the alleged assault happened. She also never reported the incident to the police – when there’s no statute of limitations for that kind of offense in the state where it supposedly occurred. The witnesses she identified denied the incident ever happened. Other accusers had similar credibility problems. Republicans went for the low hanging fruit in concluding why the Democrats did what they did: they were concerned Kavanaugh would overturn Roe v. Wade; that the Democrats wanted their power back after losing the 2016 election; etc. The real reason, however, is probably something else: the Democrats will lose their leverage over President Trump. According to MarketWatch, Brett Kavanaugh believes that prohibiting the President from firing the Chairman of the Federal Reserve at will is probably unconstitutional. According to the law, as it has been followed since the Supreme Court ruled on the issue in the 1930’s, the President can only fire the Federal Reserve chairman for cause, not at will. Further, disagreements over the policy of raising interest rates are not considered to be something that can give rise to a dismissal for cause. Now, why is this relevant to the Kavanaugh conflagration? Easy: by raising interest rates the Federal Reserve can destroy the economy, undoing all the good work President Trump has done to make it great again. This could cause low information voters, who don’t know why the economy is sagging, to blame the President and Republicans rather than the Federal Reserve and vote him and the Republicans out and the Democrats back in. But what does this mean, raising interest rates? 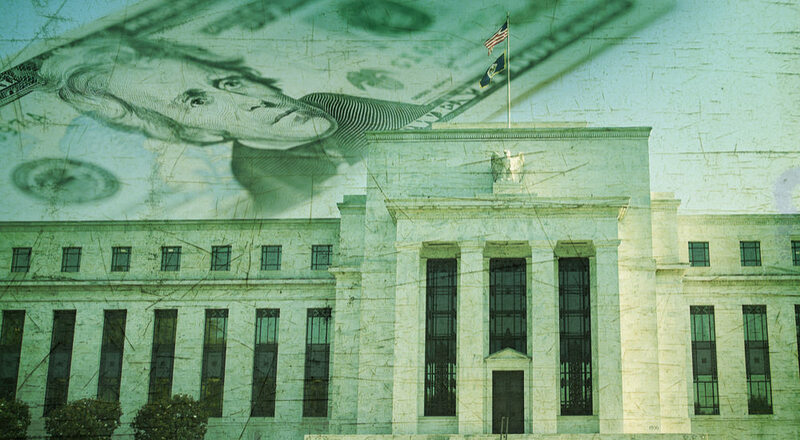 What is it the Federal Reserve actually does? And what is the Federal Reserve, anyway? The Federal Reserve is sort of like a national bank, which takes money printed and minted by the U.S. Mints and the Bureau of Printing and Engraving and puts it into circulation. It puts it into circulation by lending it to private banks. When it lends the money to them it charges them an interest rate which the banks pay as a fee or tax to the Federal Reserve. The private banks then lend this money to their borrowers, including businesses of all sizes and types. The interest rate the Federal Reserve charges banks to borrow money has an enormous effect on the economy. For banks that borrow from the Federal Reserve to be profitable, they must charge their borrowers interest rates higher than the rate they’re being charged by the Fed. For example, if the Fed charges banks 2%, banks have to charge their borrowers at least 2.5% – 3% or more to cover their costs and be profitable. If the rate is too high, businesses won’t be able to afford to borrow money for lines of credit to expand or even keep operating. The result is a slower economy, possibly much slower depending on how high the Fed raises rates. But why should the Federal Reserve even charge interest to banks for the money it gives them? The answer: it shouldn’t. It doesn’t need to. The Federal Reserve is not a true bank. A real bank gets money from depositors, invests it by lending it, and makes a profit or loss based on the quality of its investments. The Federal Reserve doesn’t do this. What it really is is a government agency that can get money by force through taxes and won’t go out of business. As a government agency, it has no business trying to make profits because it is owned by the taxpayers, who should have given back to them any surplus revenue it takes in. As such all it should be doing is charging banks a small fee for the money it gives them to cover its operating expenses. That fee would be no doubt far smaller than the huge amounts it takes in by charging the interest it does. The Fed tries to justify charging, and changing, interest rates because it says it has a role in “managing the economy”. More specifically, it says it needs to do what it does to “keep inflation in check”. The reasoning goes like this: if the Fed keeps rates low, banks will charge low rates, the economy will boom, people will make more money, and will be able to afford to pay higher prices for goods and services. Businesses will take advantage of this situation by raising their prices, which according to the Fed is “inflation”. Inflation does not mean rising prices. Rising prices are a symptom of inflation, but not synonymous with it. Real inflation means the government inflating the money supply without a corresponding increase in the amount of wealth produced which gives that money its value. Money is not synonymous with wealth; it’s just something that gets you wealth. The real wealth is the stuff you can buy with money. You can have all the money in the world but if there is nothing to buy with it, that money is worthless. That’s why people tend to want dollars, euros, pounds or yen rather than Cuban pesos; in comparison with North America, Europe, and Japan, Cuba doesn’t produce anything except maybe a few good cigars here and there that you can buy with its money. Prices rise when governments print and mint up more money but people don’t produce more stuff to buy with that money. For example, assume all that exists in the world are two tacos and two dollars. How much does each taco cost? Obviously, one dollar. Then, assume the government prints up two more dollars, but nobody makes any more tacos. How much does each taco cost now? Obviously, two dollars each. The price just doubled. More dollars and the same amount of things to buy with them means the price of each thing has just increased. Real inflation is a bad thing because, unless you’re politically connected enough to get some of that newly printed and minted money as a government handout, you’ll be paid the same amount in your job but pay higher prices for what you buy. And you’ll be that much poorer. Now, when the economy booms, prices go up also. The Fed is right about that. But they go up for a radically different reason: not because there are more dollars backed by the same amount of wealth, but because people can afford to pay them so businesses can afford to charge them. People can afford to pay them because the booming economy has made them wealthier. It made them wealthier because in a burgeoning economy people are producing more wealth. More homes, cars, appliances, haircuts, suits, clothes, airline flights, loans, consultations, and other services, etc. More wealth means more revenue, more profits, more money in everyone’s pocket – and the ability to bid higher for the things one wants. This is why a cup of coffee costs $4 in Japan; they can charge it because people are productive enough to pay it. What the Federal Reserve is doing, then, is package-dealing rising prices due to economic prosperity with rising prices resulting from governments inflating the currency. This is dishonest and the Fed does it because they can get away with it since very few people know monetary policy well enough to catch on. So, if the Federal Reserve raises interest rates, the natural thing to do is have the President fire the Fed chairman and replace him with someone who won’t do it. But not so fast, the Democrats say; the Fed needs to be “independent” of “politics” in making its decisions to “keep the economy on track and inflation in check” – so the President can’t fire him. Unless, of course, he does so – and the Supreme Court says he can. With Brett Kavanaugh, the Court is that much closer to giving President Trump that power. Trump’s Americans vs. Hillary’s Mob“Elections Have Consequences”! Vote Republican on November 6, 2018!